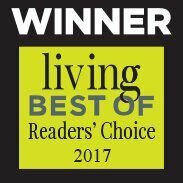 Rely on the best house cleaning Pearland TX has to offer - make your life easier, and your house spotless! No more boring house chores you never have enough time for – leave all the clutter to the professionals who will make you forget it was ever there. 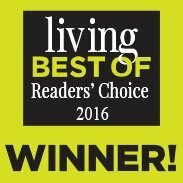 Leave it to That's Clean Maids to refer to you the very best in the business of cleaning! At That’s Clean Maids, the leading cleaner referral agency, we adore Pearland and believe it has so much to offer, including kind people and lots of opportunities to spend your free time. Why miss out on all that to stay home cleaning? Our mission is to help you out, and we value your satisfaction above all. Book a cleaning today, go meet with friends in Pearland Town Center and have that lunch you have been rescheduling for quite a while. Your cleaning professionals will take care of the rest! Keeping your house looking spick-and-span takes elbow grease! Fortunately, with the ideal cleaning package, all of that can be a thing of the past. No contracts, flat rates, charging by the hour – we strive to make you happy with the service every single time. We focus on YOU and you alone. All you have to do is create a tailor-made cleaning package and let your cleaners do the rest! The town of Pearland is stunning, and offers so much to its residents. When was the last time you took care of yourself, and used the services of Pearland Recreation Center and Natatorium? With day to day responsibilities, we know it is hard to find the time. Still, life should be much more about fun and spending time with friends and family. It should also be more about taking care of our own health. 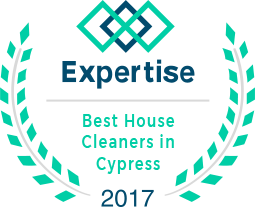 It's a good thing that we can refer to you top experts known to deliver top-notch house cleaning service in Houston TX. You can rely on them to complete all the cleaning chores you could never make time for. Sit back, relax and take a trip to one of Pearland libraries in search of a good book, while a competent someone handles the mess. Take time to recharge and do something fun, because we start saving your time even before the cleaning begins! We use a simple online booking process, and our policy is that you pay only after your cleaners have finished cleaning your home. Making your home shine is their passion – reach out to us today and let us prove we are the go-to place when you need to find the best in the business of house cleaning Pearland TX has to offer! They also provide maid cleaning services Atascocita, maid cleaning services Richmond, maid cleaning services Sugar Land and maid cleaning services Rosenberg areas. 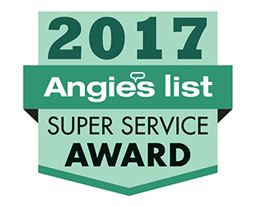 All the cleaners we work with are reliable and trustworthy, and we will do our best to send the same team to your house every time, if you like. They are also insured and get rated based on your feedback, which guarantees your satisfaction. Get all the cleaning help you need in just a simple few steps. All cleaners are background-checked and insured. They are guaranteed to be trustworthy, reliable and responsible. Spend time with friends and family instead of dusting and wiping. Our policy is to only charge the cleaning services after the job is done. No complicated payment issues – we keep things simple. We rate the cleaners' performance based on your satisfaction. Tell us how happy you were with the results – your feedback is of utmost importance! Call us or write an email, and we will be happy to be of assistance! You also get automated reminders regarding your scheduled cleaning service.